Award-winning business owner and mentor Hector Montalvo is committed to making Source Marketing Direct a hub for development, and seeks to make the event-based marketing specialists ‘process professors’ of their industry. Managing Director at Source Marketing Direct Hector Montalvo is actively looking for new ways to upskill people, helping them to become the best version of themselves, and to succeed in their skillset for an extended period of time. Mr Montalvo is passionate about upskilling, as he wants Source Marketing Direct to gain a reputation as being ‘process professors’ – people who end up doing the best in their field for an extended period of time. Mr Montalvo likes motivational videos that circulate on social media, and believes they can be useful tools for both motivation and inspiration. However, he warns the buzz usually wears off after 40 minutes – and that there’s, “no longevity,” to it. In response to this, the business coach has provided two examples of timeless motivational videos that he thinks the firm’s staff and contractors should put on their must-watch list. Montalvo hopes that these videos will be referred back to time and time again so that people can become process professors of their industry. Thomas is an American motivational speaker, author and minister. In the speech ‘how bad do you want it’ Thomas is addressing a group of students on the subject of success. He tells a story about a man who goes to a guru and tells him he wants to be rich and as successful as he is. The guru tells him to meet him at the beach at 4 a.m. The guru tells the boy to walk out into the water and pushed his head under. Just before he was about to pass out, the guru lifted his head up. The guru then said, when you were underwater what did you want to do more and the man replied to breathe. The guru then said; when you want to succeed as bad as you want to breathe, then you’ll be successful. Thomas explained to the students that most people say they want to be successful, but they don’t want it as much as they want to sleep, party etc. The video is a collection of clips of successful individuals sharing what it takes to succeed. The video explains to the viewer how important it is to surround yourself with like-minded people. Tony Robbins is featured in the video explaining success – “It’s really simple, if you want life to change, you’ve got to change. If you want life to be better, you’ve got to get better. If you’re constantly improving who you are and what you give, game over,” commented Robbins. The video promotes the importance of surrounding yourself with people that can dominate, other dreamers who force you to level up. 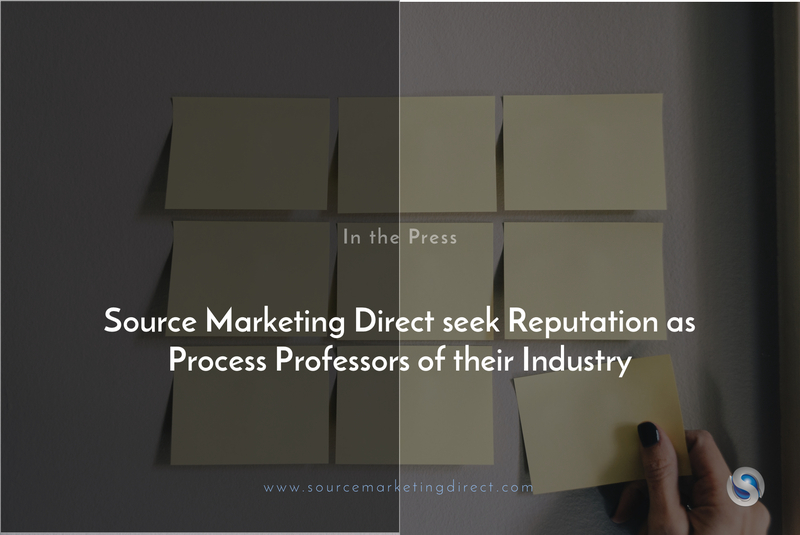 Small businesses often live and die by attracting and retaining top talent, so being known for their commitment to continuous professional and compounded development will play a pivotal role in helping Source Marketing Direct to retain top talent. “Stay away from looking at the end result too much, that’s the key to motivation. It’s also one of the most fundamental things that helps a new person coming into our industry – avoiding overthinking and just ‘doing’ and being in the here and now. You’ll achieve your end goal if you do the right things for long enough,” commented Mr Montalvo. Next Next post: Source Marketing Direct reveal how to raise quality of candidates in recruitment.